It is a surprise to many parents that they are the most powerful influence in their child’s life—greater than peers, media and religious leaders. Research consistently makes clear that the things parents say and do have a tremendous influence on the decisions their child makes—especially in the area of sexual behavior. Your constant and caring involvement can inspire students to make healthy, choices throughout their lives. It is the mission of Clarity to share the truth regarding sexual integrity and the value of human life. One of the important ways this is accomplished is through providing resources to our communities to support families and mentors. Starting the conversation about sexual integrity and keeping communication open throughout all students’ ages and stages is never easy— but it’s also not as difficult as many think. Transformed, one of our faith-based programs, is designed to equip adults and teens to have real and relevant discussions based on Biblical Truths and Principles. 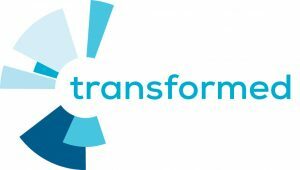 Transformed consists of three sessions and a closing ceremony that are typically held over the course of 3-4 weeks. View upcoming Transformed presentations near you, or schedule a presentation. Contact Tracey Pike at 812.378.4114.